Kritters Thoughts: As I am the girl with no allergies, other than the occasional red bumps on the legs from a picnic in the grass, I am that skeptic that thinks that the world is overreacting and too accommodating to those who have allergies. After reading this book, I am a little more empathetic but also don't think our schools need to go to the drastic measures that they sometimes do. 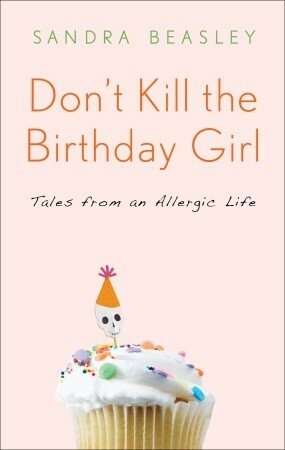 A memoir that takes place right around the corner from where I live, in Arlington, VA with a little girl who is growing up with a long laundry list of allergies to many food groups. As the title suggests, many traditions and events revolve around food where a child with allergies may feel left out because they can not partake in the complete ritual due to an allergy to one food group or another. A book that I would definitely recommend as a great memoir that may open your minds to how families must cope if a child or parent has any kind of food allergy or illness that may limit the foods that they may eat. Disclosure of Material Connection: I received one copy of this book free of charge from the Crown Publishing Group. I was not required to write a positive review in exchange for receipt of the book; rather, the opinions expressed in this review are my own. I really want to read this one, sounds fantastic and you want a sequel, wow. I have allergies but couldn't imagine as a child and not being able to enjoy most of what other children love.